Hey ho! In a few days, carousers from every continent will get together to share geocaching tales at pirate geocaching events. Remember to log your will attend for one of these events on July 15 or 16! 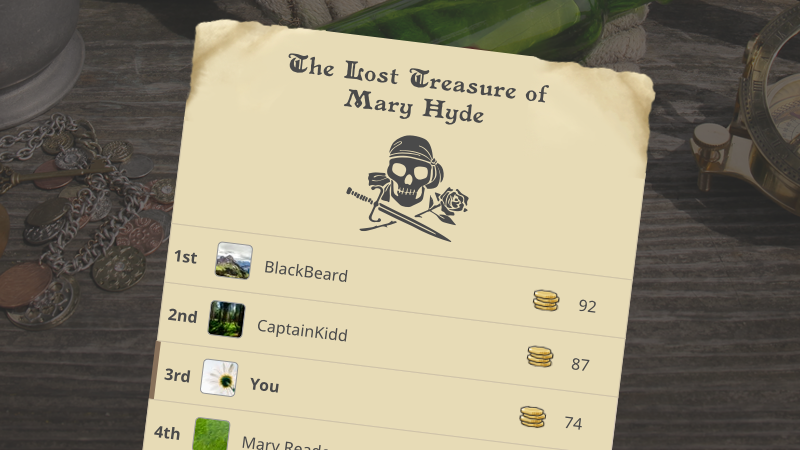 Round up all your seaworthy raiders and get familiar with Geocaching.com’s newest feature: the Friend League. 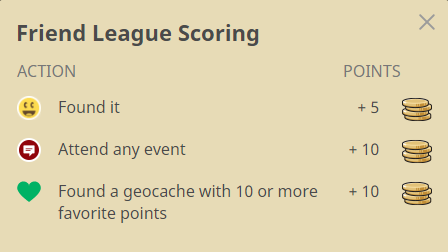 The Friend League is a leaderboard that shows you and your friends’ geocaching activity. If you log a cache, or attend an event you collect points in the form of gold coins. Still scratching your skull? Head on over to the frequently asked questions to learn more. *You can still earn the souvenirs on your own if you reach the total required number of gold coins each week. Add friends to your Friend League. Collect a combined total of 30 gold coins together with your crew. You MUST individually contribute at least 5 coins to your crew’s total. All logs must be submitted by Wednesday, July 26, 5 am PDT (Pacific Daylight Time), noon UTC (Coordinated Universal Time) to qualify for the first souvenir. To learn how to earn the next souvenir, follow Geocaching on Facebook or Twitter, or sign up for the Weekly Newsletter. If you earn all four souvenirs and complete the treasure map, you’ll earn the meta treasure chest souvenir!